Although she is relatively unknown in the international Jiu Jitsu community, Tayane Porfirio has been smashing her opponents in all of the major Jiu Jitsu competitions, bringing home double gold on more than one occasion. Her most notable victory was against Mackenzie Dern, one of the most accomplished female black belts, at the Abu Dhabi World Pro in the combined brown and black belt absolute division. Tayane Porfirio was raised on the west side of Rio de Janeiro where she started training under Marcio Rodriguez in Jacarapagua. She trained with Rodriguez until she was a blue belt and then moved to the Brigadeiro team where she received her purple belt. Porfirio met Alexandre Paiva at his gym in Leblon in 2013 but because of the long commute, she continued to train in Jacarapagua. 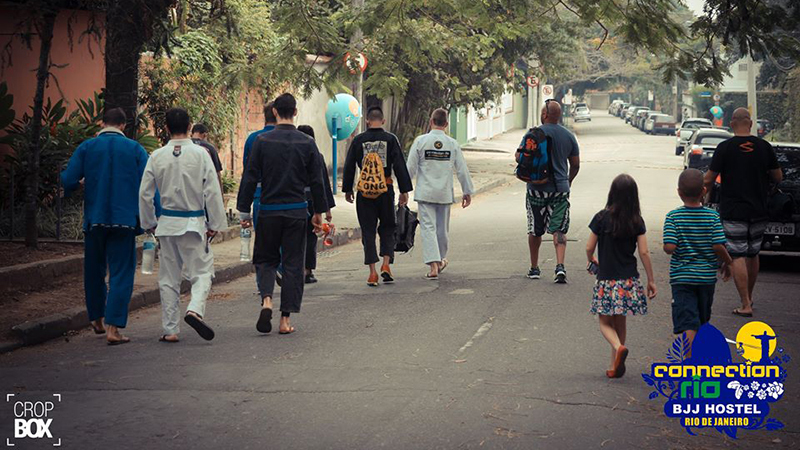 It wasn’t until 2014, after becoming familiar with the team and their style in local competitions that Porfirio decided to start training with Alexandre Paiva in the Alliance gym located in Leblon. In 2015, as a purple belt, Porfirio smashed all of the major IBJJF competitions winning both absolute and the heavyweight division in the Grand Slam, Worlds, Pan American, European Open, and Brazilian Nationals. 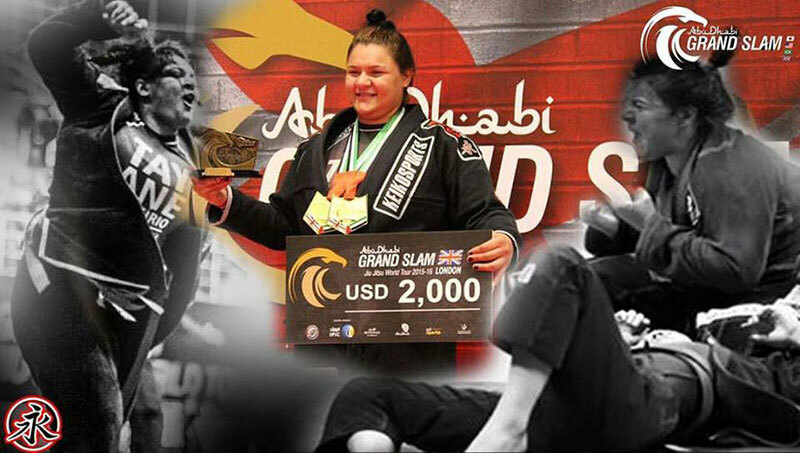 She continued to demonstrate her dominance in 2016 as a brown belt winning IBJJF European Open and defeating tough opponents like Mackenzie Dern in a combined black and brown belt division to become the Absolute Champion of the Abu Dhabi World Pro. After winning gold in her division and third place in absolute in the IBJJF 2016 Worlds, she was awarded her black belt on the podium. Although some people credit her dominances in competitions to sheer size alone, Porfirio works hard at developing a technical game. She prefers to pull guard and rely on her lasso hook to dominate her opponents as opposed to aggressive takedowns and pressure passing adopted by most heavyweight athletes. Her emphasis on demonstrating the technical side of her game is one of the major things that distinguish her from fellow Alliance team member Gabi Garcia. The match against Mackenzie Dern at the 2016 Abu Dhabi World Pro where she used the lasso guard to sweep Dern was a beautiful demonstration of how dynamic her game actually is. Many athletes struggle to juggle the responsibilities of work, studies, and training. 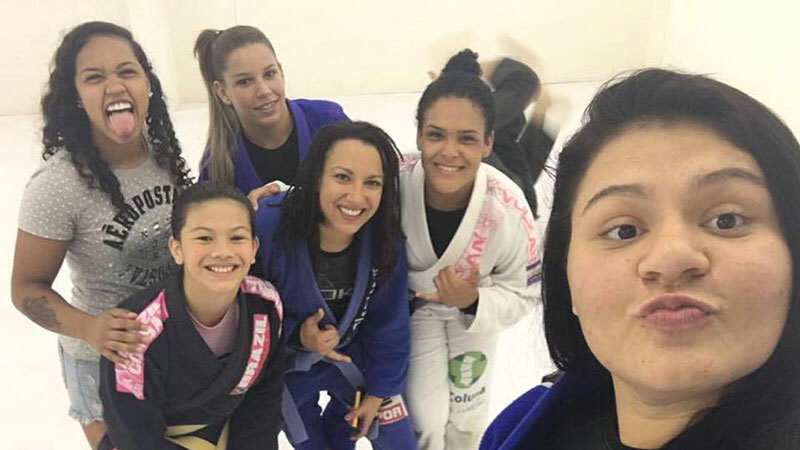 Training for major competitions like Abu Dhabi Pro or IBJJF Worlds requires a lot of mental and physical discipline that often consumes most of an athlete’s time, but despite the demands of training Porfirio still tries to dedicate her time to helping out fellow athletes. Coming up through the lower belts, she relied on the support from an ex-boyfriend and money made from side jobs cleaning and working at party houses to fund competitions so she knows how hard it can be for struggling athletes. Now Porfirio survives off of private lessons, seminars, and money that she saves up from winning competitions. It’s not easy to make a living from Jiu Jitsu, Porfirio admits. In order to make money you need to give seminars, but to sell seminars you have to win competitions. To win competitions you need to dedicate yourself full time to the sport, and to do that you need money. Prejudice is another problem that female athletes face in the sport. “A lot of companies think media is better for men so the doors end up getting closed for a lot of girls”. Despite the challenges Porfirio still loves the sport and believes that more participation will result in more opportunities for females in the sport. Shortly after winning the 2016 Worlds in California she dedicated her Saturday morning to giving a small seminar to help a rising blue belt raise money for upcoming IBJJF competitions in Rio de Janeiro and Sao Paulo. Receiving her black belt was an unexpected, but well deserved surprise. “It was an incredible sensation that I can’t even explain,” she described after returning to Rio. “I always saw other black belts and said that I would get there one day but I still can’t believe that that day finally came”. As for changes in her training regiment, the new Alliance black belt doesn’t foresee any switch ups in her normal training routine to meet the new demands of competing as a black belt. She is excited about the new opportunities and is looking to get right back into competing.